Wow, what a lot of interest! 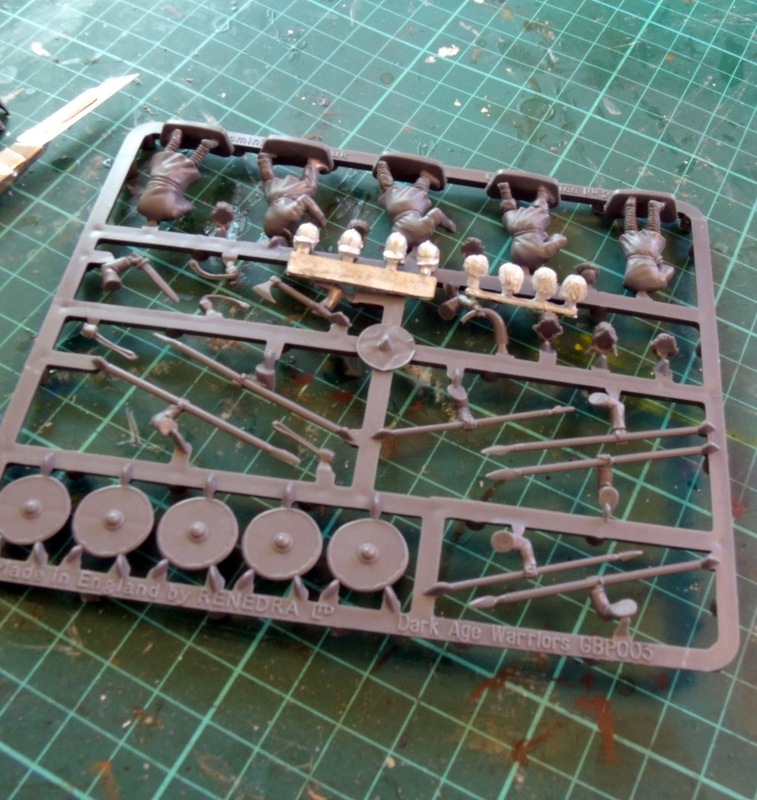 Whether the GB kit heads will fir with (e.g.) Perry, I can't provide any real substantive information, other than to say the Gripping Beast heads measure 6.4 mm high from chin to crown, 5.4 mm wide across the ears and 5.4 mm deep measured at the eye sockets. This should allow you to compare, and maybe this will help - I hope so anyway. 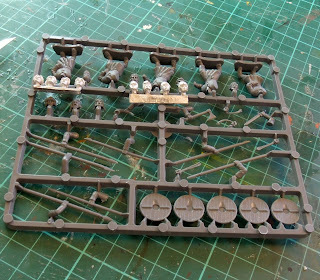 As for heads by other manufacturers' fitting with the kit bodies, here you go. 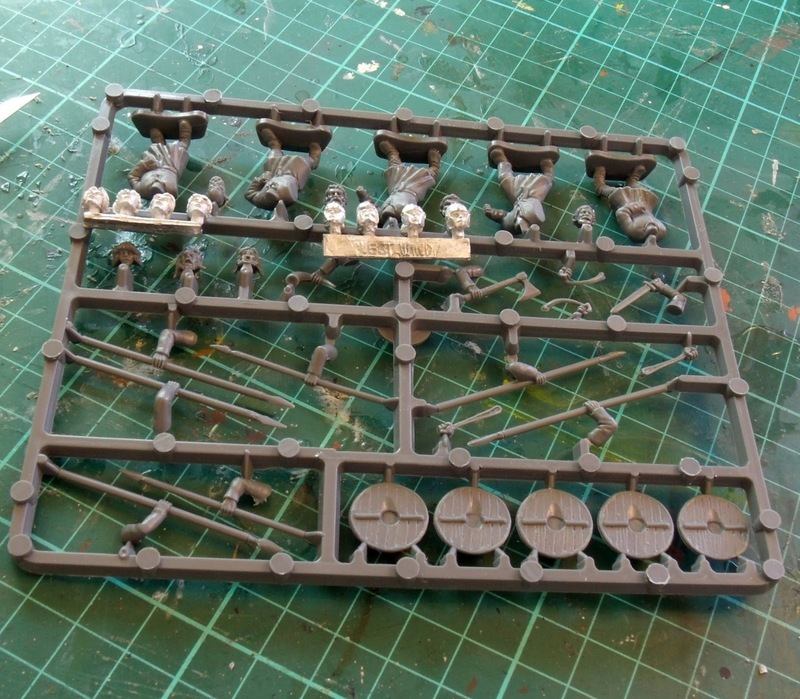 Here's a picture of a GB sprue with two West Wind metal SHS head sets. 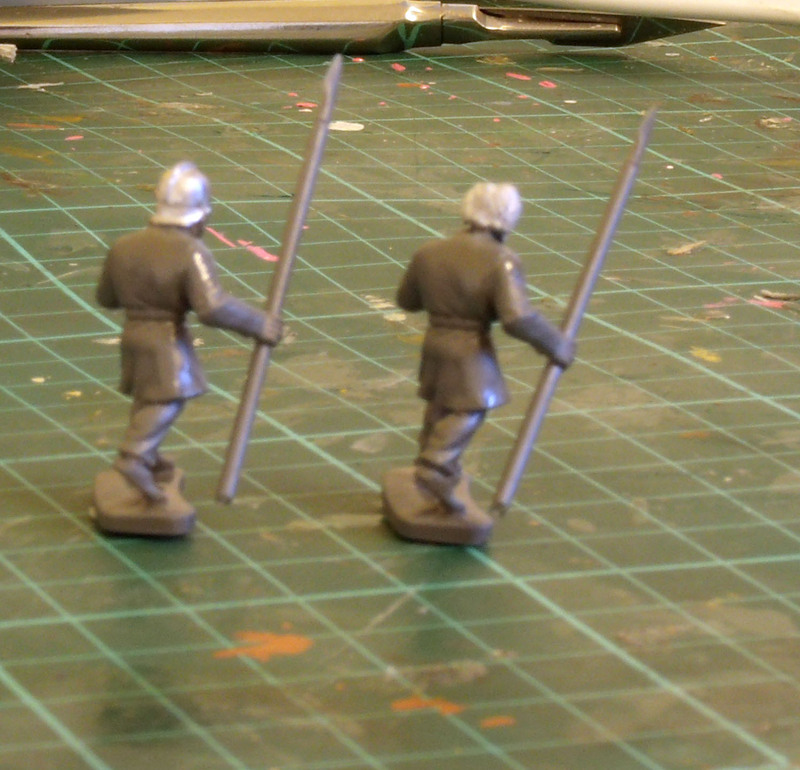 One is Sub-Roman bare heads, the other Sub-Roman infantry helm heads. The main difference is that in the GB kit, the neck is cast as part of the body, whereas on the West Wind heads, the neck is moulded with the head. It's more obvious on this photo. 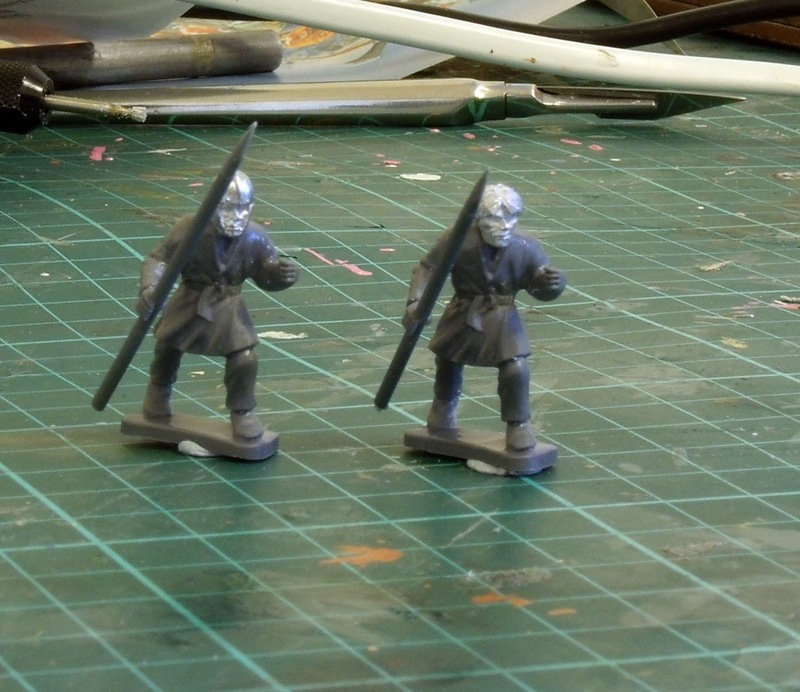 And here are a couple of minis with the heads in place. The helmeted figure will end up as one of the warriors, his superior equipment (i.e. the helm!) standing to set him above the lowly levy (with the bare heads). I cut the neck out of the bare WW head to fit it, and drilled and milled the neck out of the body of the one with the helmet, so it will work either way. To my mind, drilling and milling the plastic is easier, but you need to take it steady as its much easier to remove too much material that way! A dab of superglue fixes them. I'll probably add a smear of filler for good measure, but the fit isn't bad as it is. He is lower class, so I look down on him! A little more of the back, gents? thank you very much for your prompt feedback! i have to say, the westwind heads looks really good on the gb bodies. with this arrangement you could really realize more variants with this plastic kit!! !